Did I really just Google “resignation” letters?! Four years, six months and 19 days after stepping foot in the doors of STC Associates I was making the choice to accept an opportunity at a new agency. At the same time I would be saying goodbye to the place I’ve called home for nearly a fifth of my life … and continue to work there as a technical employee until my “notice” was complete. Make sure you tell your boss first before you tell any other person in the office. Sure, you should consult a mentor or colleague in the industry but it is best to keep the news between you and the boss before posting it on the front page of the New York Times. Keep your bridges intact! Sometimes it is impossible to take these things personally. My resignation had nothing to do with my boss; it was about my desire to try something new. But lets face it in life not every new place is happiness and marshmallows – there may come a time when you need that bosses help again. Treat the exit interview as you did your first job interview – with class. Although the company allows you the opportunity to “air your grievances” upon your departure it is really no need to bad mouth everyone and their mother. First of all it won’t change your experience and 9 times out of 10 it won’t change the way your employer does things in the future. So smile, say thanks and move on to your next big thing. These are my own personal opinions on what I tried to do to make my time of “transition” smooth. Why did I choose this path? Maybe so there is no awkward feelings when I come to meet former colleagues for drinks, or if I need to make a return to the office for one reason or another, OR because STC Associates put on some AMAZING holiday parties and I want to be invited back! In truth it was my attempt to remain “classy” because the past five years had been the most amazing ride of my life. I was afforded the opportunity to work with some incredibly talented men and women, was allowed the chance to travel the globe to represent our agency to clients and when times were tough chose to keep me as an employee in the worst recession I’ve seen in my career. I really did LOVE my time with STC Associates and know they will continue to shine long after the “KreeBeau” star has faded. So where am I now? Affect Strategies – an awesome group of men and women expecting the same thing STC Associates did – success! Now I’m just looking forward to delivering! 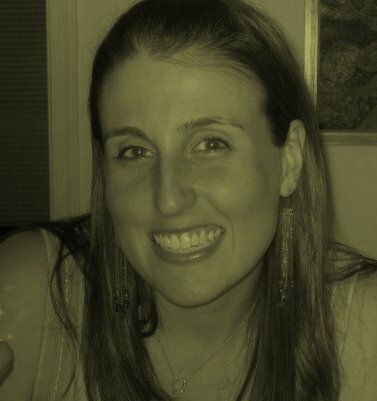 Kristen Massaro is an Account Supervisor for Affect Strategies in New York City. Having spent seven years in the communications and PR world, Kristen has a passion for non-profit public relations and is currently in the process of starting her own non-profit, the Fearless Heart Fund, which was inspired by her 2 year old goddaughter who received a heart transplant in 2008. As a born and raised NYer, Kristen loves her puppy Alfie nearly as much as the Yankee infield.